Identity theft has become an increasingly problematic issue in recent years. As the world expands its digital footprint, identity thieves are exploiting countless channels to gain access to and sell sensitive personal information. Identity theft is regarded as a serious crime because of its devastating effects. Identity theft occurs when you least expect it and often result in major damage to your bank account, your credit score, other finances, medical history, and even taxes. Fortunately, many companies provide identity protection services to help you shield yourself from thieves and prevent identity theft. Criminal Identity Theft—One person gets arrested or cited for breaking the law and uses another person's identity/information for the criminal record. Medical Identity Theft—Someone uses a stolen identity to obtain healthcare, medical insurance, prescription drugs, etc. Financial Identity Theft—Someone uses another person's credit card number/name/other financial information to open bank accounts/credit card accounts, build up debt, make large purchases, etc. Synthetic Identity Theft—A person creates a completely fake identity for illegal use. Child Identity Theft—Happens when someone steals the identity/social security number of a child to obtain government benefits, financial accounts, etc. Social Security Identity Theft—Someone steals the social security number of someone else and uses it to obtain other important information from the victim. Driver's License Identity Theft—Someone steals a driver's license number to commit a variety of crimes like parking and speeding violations. Tax Identity Theft—Someone uses a stolen social security number and identity to obtain a large tax refund. You may be more concerned about one type of identity theft than another which may direct you towards a specific type of identity protection company. Doing your own research will help you figure out which services each company offers. Most customers are interested in finding protection from either all or several different types of identity theft. Since there are often a variety of people who end up becoming victims of identity theft, the best identity theft companies offer 24/7 monitoring services for individuals, families, and businesses/organizations. Remember that some identity protection companies provide higher quality protection plans and services than others. Typically, the identity theft protection companies with the highest customer reviews offer more reliable services than those with lower customer ratings. Identity theft protection services can vary depending on what company you choose. 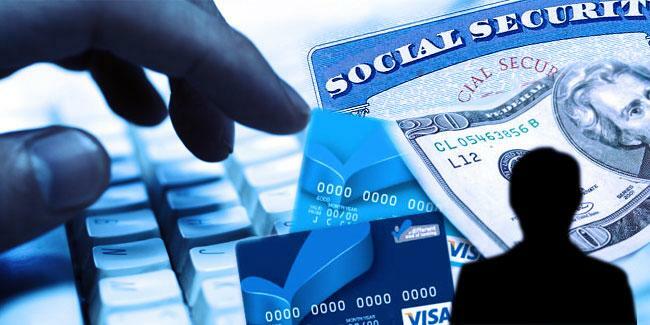 The best identity theft companies will provide protection services against multiple types of identity theft (if not all), credit monitoring services for the major credit bureaus, internet monitoring, social security monitoring, social media monitoring, financial account monitoring, data breach protection, and more. Finding a company with some or all of these monitoring services will ensure that you are getting high-level protection that will put an end to any kind of suspicious activity or identity fraud before it’s too late. In addition to monitoring services, many identity protection companies offer specialized plans for groups or individuals that include dedicated recovery services. One downside of many identity theft protection companies is that they do not often accept preexisting identity theft conditions. On the bright side, the recovery services that are offered to enrolled customers (who have fallen victim to identity theft) are often very helpful. Most identity protection companies provide customers with up to $1 million in identity theft insurance which can cover anything from stolen funds to identity theft related out-of-pocket expenses. Prices for identity protection services depend on the type of services you are getting, the package options you choose, the quality and quantity of protection you are purchasing, and the identity protection company you choose. Although identity protection prices may vary, most companies within the industry charge monthly fees. Top-rated identity protection company services are usually reasonably priced compared to other identity protection companies. Like many other industries, identity theft company prices may increase as the quantity and quality of protection in each plan increases. Consider how much you are willing to pay for your the protection of your personal information and security. If the price is a major concern, your choices may be limited. Fortunately, there are still plenty of strong options to choose from as the industry includes companies with lower-priced services available. Identity protection companies often provide anywhere from one to three identity protection plans to customers. Most companies offer an individual plan, a family plan, and/or a plan for businesses and organizations. Typically, the individual plans are the cheapest but include everything that an individual would need for identity protection including fraud alert services, monitoring services, and recovery/insurance options. Most family plans will cover you, a spouse, and a limited number of children. Family plans often include child identity theft monitoring and protection options. Not every company offers a plan for businesses and organizations which is important to keep in mind. Looking at identity theft recovery options can help you pick a company. Some identity protection companies offer top-notch identity recovery services while others do not. If you have preexisting identity theft conditions, then your company options may be fairly limited as many identity protection companies do not help with preexisting situations. Although not many companies deal with preexisting conditions, there are a few that shouldn't be ignored as they will handle your preexisting conditions and provide you with future recovery services. If you do not have any preexisting identity theft conditions, then you will have more options. Many identity protection companies offer up to $1 million for reimbursement of stolen funds, lost wallets, legal costs, time, etc., along with some form of guarantee. 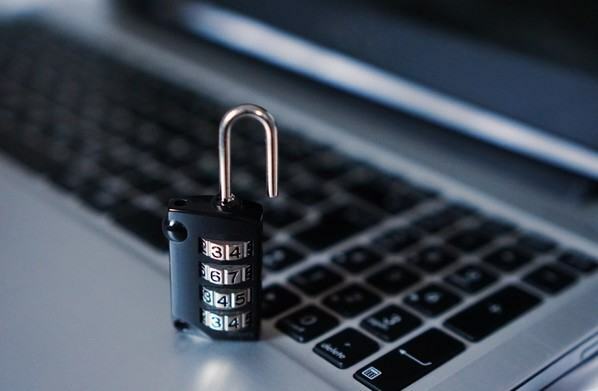 Although these companies are designed to protect your personal identity, it is impossible for them to keep you and your data 100 percent safe from identity theft criminals. Some identity protection companies will provide you with two-factor authentication as an extra step to help keep their data safe. However, if you do become a victim of identity theft while using an identity monitoring service, most companies will provide you with access to certified identity recovery experts who will help you step-by-step through your identity theft recovery process. Protective software, like anti-virus software and anti-keylogging software, is a feature that some identity protection companies provide. Having protective software will help you keep your information and data safe on all of your personal computers and devices. Although not all identity protection companies offer this type of software, it is definitely a desirable option. If a company provides this type of software with their plans and services, then there is no need to worry about finding and installing the software on your own. Identity protection companies that do include antivirus software recognize that customers need the additional protection regardless of the identity theft services they are already using. Antivirus software is especially good for those who have home computers and family members who use them. Do I need identity theft protection? What types of identity protection services can I get? How do I report possible identity theft? How does identity theft differ from credit card fraud? What is the best identity protection company for me? The unfortunate reality is that no one is entirely safe from identity theft. Even with identity protection, you are not ensured complete safety. However, identity theft protection will help you avoid identity theft more effectively than if you were on your own. Although identity protection services are an expense, they can save you hundreds of thousands of dollars in the long run. Identity theft is a major threat to the public, and the threat continues to advance as technology does. Keeping yourself safe from identity theft is getting tougher each year. Fortunately, the top identity protection companies are staying ahead of the game and are equipped to handle identity theft growth. If you have a bank account, a social security number, a driver's license, a credit card, a medical history, a family, etc., then getting identity theft protection is a good idea. Even with software programs and free monitoring systems available, purchasing professional identity theft protection may give you higher quality protection and services including recovery opportunities. Besides getting an identity theft protection service, there are a few things you can do to help prevent identity theft. Create strong, secure passwords that you change on a regular basis. Most passwords can be easily guessed and hacked, leading to devastating identity theft situations. Keep your social security card, birth certificate, and other important documents (like tax files) in a secure location within your home. Do not freely give out your sensitive information (like SSN, driver's license number, medical insurance number, etc.). Regularly checking your credit reports and bank statements can help you avoid identity theft as well. Make sure your personal computers have the latest, most updated antivirus software. Antivirus software can protect your precious files and important digital documents. Lastly, you should invest in getting a shredder. Shredding important documents that you don't need any more like old bill statements or mail can also lower your risk of becoming an identity theft victim. Your identity can be easily stolen if you do not take the proper precautions. A variety of identity theft crimes occur each year and all of them can be devastating to victims' lives. Since hospitals and other medical institutions decided to digitize their files, medical identity theft has become a higher-level threat. Your identity could get stolen via the medical institutions that you associate with. Another way your identity can get stolen is if you lose your social security card or give your social security number away to the wrong person. With your social security number, thieves can commit tax identity theft and access other important personal information. Identity thieves can also use your information to avoid a criminal record by letting their crimes get attached to your record. Your identity can get stolen from using certain public Wi-Fi networks, not having a password on your phone, losing your phone, losing your wallet, using your credit card at an unsecured location/online, phone scams, online scams, phishing emails, data breaches, etc. The types of protection services vary per identity protection company. Many identity protection companies offer credit monitoring, social security monitoring, internet scanning, financial account monitoring, social media monitoring, data breach services, identity theft insurance, around-the-clock customer service, fraud alerts, online portal access, antivirus software, and recovery services. Top identity protection companies provide credit monitoring for all three major credit bureaus: Experian, Equifax, and TransUnion. In regard to identity protection, many companies have similar services, but it's important to keep in mind that some services are higher quality than others. For instance, one company may provide up to $1 million in identity theft insurance and provide recovery services to both those with preexisting identity theft conditions and those who have become victims while using their services. Meanwhile, other companies in the industry may only provide recovery services to those without preexisting identity theft conditions. Some companies may offer antivirus software with their identity protection packages while others do not. Understanding what type of protection you want before choosing a company is recommended. Identity theft, in general, can be reported to the Federal Trade Commission (FTC) via forms on the FTC website or by phone. When you choose to report the identity theft to the FTC online at IdentityTheft.gov, you will be able to obtain an official identity theft report as well as a recommended recovery plan. If you decide to report your identity theft case by calling the FTC at 1-877-438-4338, the FTC staff will be able to obtain the details of your case, but will not be able to provide you with an identity theft report or any recovery options/plans. You can also report identity theft to your local police station. Once you report the theft to the police, the case will become officially open for investigation and further law enforcement involvement. Other places you can report identity theft include credit bureaus, financial organizations, retail companies, identity protection companies, etc. Victims of medical identity theft should report their situation to their health insurance company or Medicare. Tax identity theft victims should report their theft to the IRS as well as their state's department of taxation. Although identity theft and credit card fraud both involve stolen information, identity theft is often the more serious and damaging of the two crimes. Credit card fraud occurs when someone steals your credit card/account information and uses it to make a variety of purchases. Once the credit card fraud is recognized, credit card companies will most likely not hold the charges against you. Depending on the credit card company, you may have to pay a relatively small fraud fee and/or get a new card. In regards to identity theft, however, the repercussions are significantly worse. For instance, a criminal could steal your identity (via social security number, credit card number, online scams, etc.) and use it to open several credit card accounts which can ruin your credit. 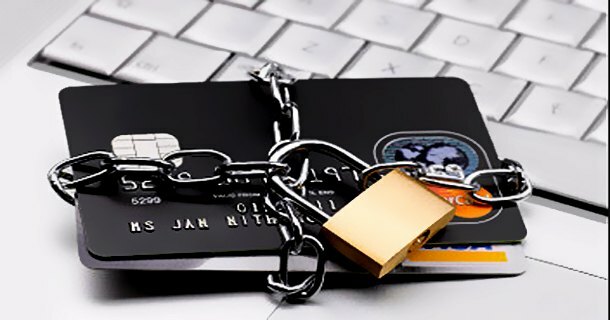 In contrast to credit card fraud, it's likely that you will be liable for paying off the charges and handling other consequences that arise from the identity theft situation. It can be years or even decades before you are able to get your identity secure once more. Fortunately, some people find peace in the fact that many identity protection companies offer a variety of identity theft recovery options. Finding the right identity theft protection company to fit your needs can be a challenge since there are so many options. Before you pick a company, identify what type of identity protection services you are looking for and how much you want to spend to protect your identity. For instance, some people may be more concerned with protecting their social security numbers or financial accounts while others may be most worried about their online activity and social media accounts. Take the time to do your own research and read reviews. Typically, the best identity protection companies are connected to the highest number of positive reviews in comparison to the rest of the companies in the industry. Products and services can vary depending on what company you choose and your situation. For example, if you have preexisting identity theft conditions, your list of identity theft protection companies that offer services for preexisting conditions may be significantly shorter. Overall, using online resources and conducting your own research can help you choose the right identity protection company for you.